At a young age, Dan Susman would marvel at how gigantic his pumpkins could grow from a seed so small. Now all grown up, Dan offers people, regardless of economic, geographic or other social factors, this same opportunity to be in awe of gardening. His project, Grow Where You Are, is a community engagement effort that builds on the message of his documentary Growing Cities. He and his team will host and produce workshops and events in 15 cities that help people gain the tools and inspiration to build local, sustainable food systems. Louino Robillard ("Robi") was born in rural northern Haiti and raised in the slums of Port au Prince, but longed for the countryside of his roots. Upon his return decades later, mass deforestation had transformed the land, so Robi and his wife Sabina began a model forest project to educate the community on the importance of trees for the environment and their lives. Today, Robi holds a master's degree in Community Change and Peace-building, and is creating a community tree nursery, and making plans for a larger demonstration forest to teach the principles of agroforestry. Amarilla Blondia created Haven! 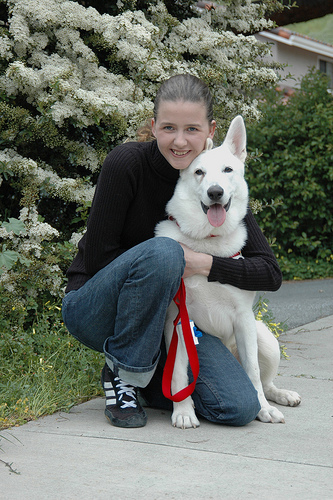 CA, Inc., a foster network for animal companions of victims of domestic violence. Though abusers often threaten or harm family pets, most domestic violence shelters do not accommodate animals. As a result, about half of victims delay escaping the abuse, or may never leave at all, because of concern for pets. With peace of mind that animals will be safe, their guardians can seek out services and remove themselves from their violent situations permanently. Amarilla, herself a domestic violence survivor, is a recent law school graduate and also assists with emergency exit plans, including transportation for pets when the victim is ready to start a new life. Aaron Blanchard is a Peace Corps Volunteer working in Mabira Forest, a Central Ugandan tropical rainforest where hunting and poaching is impacting otherwise immense biodiversity. To foster ecotourism as an alternative income source over hunting and poaching, Aaron is engaged in projects that encourage local visitors, including students who visit on educational field trips, to take pride in the area's rich animal life. Through strategic marketing, attendance at Mabira Forest Camp has begun to increase as well as overall interest in the forest's conservation. Vlad Moskovski and Kate Janke have long taught yoga and meditation to tweens and teens, and saw that their students yearned to make a difference in the world. To help young people develop themselves and give to their communities, they founded the Compassionate Leaders Program, an eight-week afterschool program for high school juniors in the San Francisco Bay Area. Students learn leadership skills such as project management, communication and budgeting, gain wisdom through mentoring and guest speakers, and follow mindfulness meditation training for strong hearts, strong minds and the confidence to be active members of society. Matej Hlinican, Martin Smrek and their fellow vegan activists in Bratislava, Slovakia organized the nation's first "Vegan Feast" (Vegánske Hody), a full day of documentary film screenings, discussions and lectures, booths, music and delicious vegan food vendors. Vegan Feast took place in a park located right in the city center, attracting a broad and diverse attendance of more than a thousand people who learned about the benefits of veganism for human health, animals and the environment. The Pollination Project makes $1000 grants every day, 365 days a year to individual changemakers. Please go to our website at www.thepollinationproject.org for funding guidelines and application.